It seems everywhere you look it is hard not to be reminded that we are in the holiday season. [Check out our Thanksgiving post here!] Your local department store has been decorated in red and green since Halloween, greeting cards are arriving in the mail, and there are Christmas TV programs and commercials on all the channels. Amongst all this holiday spirit you have probably seen a few images of penguins and polar bears sharing the holiday cheer together. Remember this Coca-Cola commercial? [View the full commercial on YouTube here.] Well, can you identify what is wrong with this picture!? 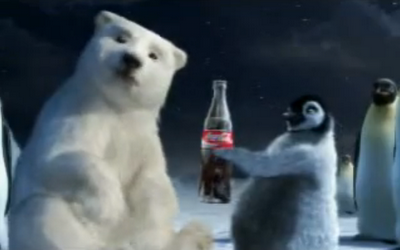 Here's a hint: it is not the fact that penguins and polar bears don't drink soda pop. 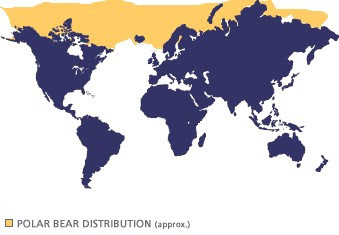 Even though they can live in similar types of habitats, you will never find penguins and polar bears living together in the wild. 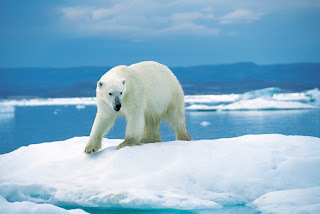 Polar bears are found in the Arctic Circle region of the Northern Hemisphere. 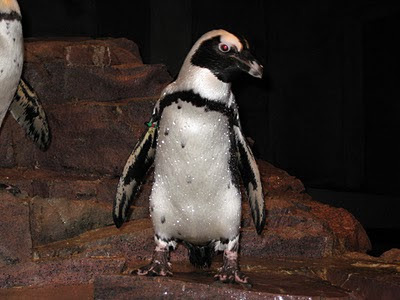 Penguins are found in the Southern Hemisphere ranging from the Galapagos Islands to the coast of Antarctica. 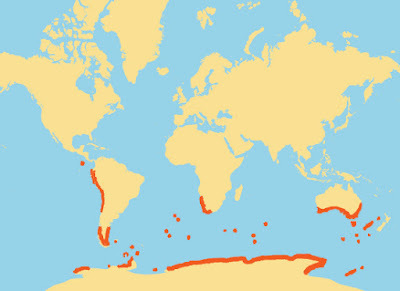 They are separated by the warm waters around the equator. Now the next time you get a greeting card or see a commercial with penguins and polar bears together, you can impress your friends and tell them that even though it is very cute and a great advertising technique it is never something you'll see in the wild. Happy Holidays from the Penguin staff! Discovery Channel's Frozen Planet, Summer episode, first couple of minutes cleary show a polar bear and penguin swimming together. Please explain that. Narrator Alec Baldwin made not a mention about the seeming improbability, though penguins have been introduced off Greenland. that was one of those ads that they annoyingly put up during the show, there was no actual penguin swimming with a polar bear. just a trick. Great question! Our penguin experts are enjoying the program as well. 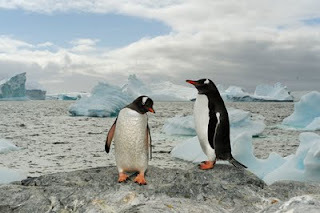 They find that the scenes often switch from the Arctic to Antarctic, so it's easy to get mixed up. But to their knowledge, there are no penguins living in the wild in the Arctic.